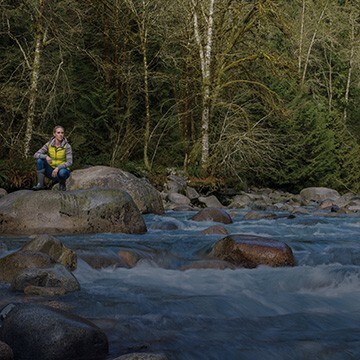 The Master of Engineering Leadership in Integrated Water Management is a one-of-a-kind program: by taking courses in both management and technical engineering, students gain a unique and highly valuable combination of skills. In my experience working with industry, I have seen many people with technical and engineering degrees who struggle to manage systems or people. When speaking with other colleagues from outside their field of expertise — such as those in accounting, management or human resources — they often lack the vocabulary or ability to assimilate and integrate non-technical perspectives into their work. The MEL introduces students to the skills they need to get team members working together effectively and to manage large projects and systems — and it gives them lots of opportunities to practice these skills over the year. The technical courses accommodate students of varied academic and professional backgrounds. And unlike a more traditional master of engineering program where a student focuses on one particular technical area or on a narrow research topic, the MEL provides students with a foundation across the entire spectrum of water management. We look at chemical and biological water treatment design, engineering hydrology, environmental fluid mechanics, and water and wastewater management strategies. The course I teach — water resource system planning & management — trains future leaders on how to build and use decision analysis tools to examine, manage and optimize the water system as a whole. I came to UBC as a master’s student in 1993, having spent the prior 12 years working for Jordan’s Ministry of Water and Irrigation. 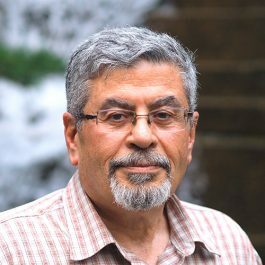 I began my career as a construction engineer on irrigation and water resource projects, and then moved into studies and planning, where I worked on the development of the master plan for the entire country with the UN Development Programme, and I was a member of the country’s negotiating team in the multilateral Middle East peace talks. I came to UBC on a scholarship from the late King Hussein of Jordan and I stayed on to do my PhD, which was supported by BC Hydro. After I graduated, the company sponsored my position here. I’m known in my department as being on the practical side: I always give my students actual problems to work on, often using real-life data from my research work at BC Hydro, where I have many projects on the go. In one project, I am looking at how to assign monetary value to the water in storage in BC Hydro’s systems so that the organization can make decisions about whether it is more effective to sell power to customers or to supply customers with electricity in other ways, such as by purchasing power in the electricity market. These same valuation methods — which combine engineering and economics — are also used internally by BC Hydro when they make decisions about which reservoirs to use first and how much water to release to meet the electricity needs of their customers. Another project looks at the best available planning techniques for future expansion of the hydroelectric system in British Columbia, including optimizing the integration of renewable energy — such as wind and biomass — and energy storage technologies into the energy system. Wind is highly variable, so you need to know which resources need to be in reserve when bringing 1,000 or 2,000 megawatts of wind energy into the grid. The students who come to this program bring with them several years of industry experience and they have a sense of the direction they want to take their careers. Our program allows them to do just that — by deepening their technical expertise and gaining confidence managing teams and leading projects. Dr. Shawwash is assistant professor in the Department of Civil Engineering in the Faculty of Applied Science. He holds the BC Hydro Assistant Professorship in Hydropower Engineering and his research involves the mathematical programming of water resources and energy systems, primarily focusing on hydroelectric reservoir operation and the integration of renewable sources of energy in electric power systems. Dr. Shawwash’s research interests include: modelling and optimization of large-scale civil engineering systems; planning, design and operation of hydroelectric generating facilities; use of decision, policy and risk-informed decision-making and analysis techniques in water resource planning and management; and use of artificial intelligence systems in water resource and hydroelectric systems. Dr. Shawwash is also a faculty member of the Clean Energy Research Centre at UBC.